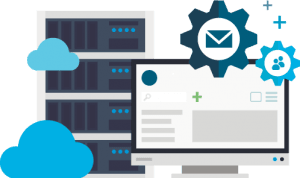 If you are looking for sensibly priced cloud VPS servers OR managed VPS servers, you are in the right place – RSHosting offer a full suite of managed VPS servers suitable for all of your needs. With internationally hosted servers, UK VPS servers are a speciality, giving you fast access times in and around the UK. Should you need servers based in the US, we can handle that too! Our cloud VPS servers run on blisteringly fast SSD drives, delivering content at the highest possible speed. With a 99.9% uptime and compatibility with the Cloudflare CDN, you can be certain that our platform is secure, stable, and available. As well as high speed drives, our cloud VPS servers run on hypervisors such as KVM and Citrix XenServer, and come with FREE cPanel or Plesk control panels. Each server runs on a minimum of 6-core processor and features a quarter of a terabyte of memory, which is more than enough to power the most demanding of applications. The SSD drives are mirrored and striped with RAID10 and a battery backup unit, providing complete data redundancy – the best defence against any possible data loss. Do I really need a managed VPS server? If shared hosting isn’t enough for you, but you aren’t quite ready to move to a dedicated server, then a fully managed VPS (Virtual Private Server) is just what you need. Configured and set up to be fast, secure, and efficient, a managed VPS server will help you upgrade your hosting to the level your business or website demands. Often regarded as the best managed VPS provider, our super-fast Cloud VPS also offer you complete isolation from other customers, which is not possible on a traditional shared web hosting server. All our cloud VPS servers come with root/administrator access, so you have full control over the system when necessary. UK managed VPS and US managed VPS servers, both have a guaranteed SLA 100% network uptime, which means they are available 24/7 – just like our support. If you encounter any problem at all, you can reach our support team at any time of day by email, Skype, or online chat. We take regular backups and are proactive in resolving any issues as quickly as possible, including data restoration. All software is regular updated, leaving you to get on with running your site and not having to worry about keeping the backend up to date. In addition to managed VPS servers, we also offer VPS reseller options. 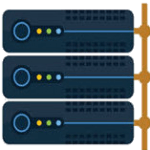 This allows you to resell our VPS packages to your own customers, while retaining the infrastructure and support you’ve come to expect from RSHosting. Should you need something bespoke or if you would just like to get some advice from our friendly team, get in touch today to find out what we can do for you. Order today and get 30% discount on our Managed VPS plans. Coupon code "VPS30" is auto-applied during checkout procedure. Proactive and immediate action incase of VPS going offline with complete assistance while helping with restoring the server and services to good condition (including restoring data). 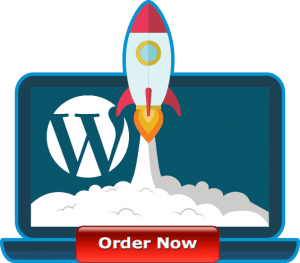 Why choose RShosting Managed VPS for your business website? RSHosting is proudly serving premium web hosting solutions with exceptional quality of services and support to its customers from all over the globe. Websites hosted on RShosting servers not only experience an incredible uptime but also ultra-fast browsing speed with quick loading times. Choice of UK and USA servers, give SEO benefit for our customer websites, with high rankings in search engines. Hundreds of online reviews and customers testimonials have made RSHosting popular as one of best UK web hosting company. 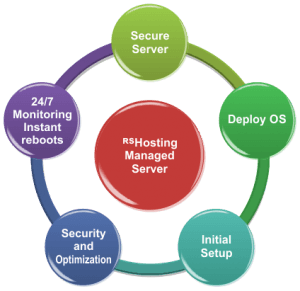 At RSHosting, our mission is very simple – to provide fast, reliable and secure hosting services, backed up by friendly and helpful technical support. With years of experience and chosen infrastructure, at RSHosting we offer robust, reliable Cloud SSD web hosting that offer scalable on demand resources for your websites. Our cloud web hosting clusters are designed to offer your websites an incredible uptime and on demand resources for future scalability, with the best data security available. We are committed to helping our customers to the best of our abilities, and with every passing day, we are working to make our services and support better and better, taking it to next level of customer satisfaction. At RShosting, we hire only highly qualified, skilled and certified professionals offering the best web hosting support experience, available 24/7/365 over Live Chat, Skype and Email.